Hello everyone, and welcome to a special #DisneyMusicMonday. Today also happens to be the 4th anniversary of when I started My Dreams of Disney, so on this day, I’m sharing with you a video that really was the start of it all for so many of us in this business. It’s not every day that we celebrate an anniversary for our blog, and I never imagined that my little blog would grow into the site that it is — or that it would even be still around after four years! Our first post (and posts) were written as recaps of the memories that I have from my original visits to Walt Disney World, but as the months went by, our posts became more about reviews, and lists of favorites, dining reviews, and so on. It’s crazy to imagine that we have published 1,513 posts now (with this being number 1,513)! 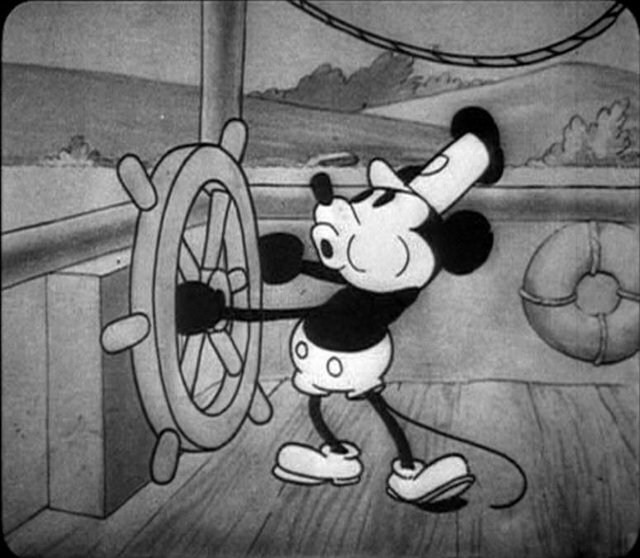 Well, enough about the blog — today is #DisneyMusicMonday, and I’ve got two videos to share with you — the first is the intro music for Walt Disney Animation Studios, and the second is the actual Steamboat Willie cartoon. I hope you have time to enjoy both of them, and don’t forget to check out the rest of the posts below. Also, special thanks as always to my friend Tim from Dad for Disney for co-hosting with me! Happy Birthday Mickey and Minnie Mouse! Happy Birthday Mickey & Minnie Mouse! Previous Post: Prayers for the Week – Beware False Prophets!